The Law & Society Trust (LST) is a not-for-profit organisation engaged in human rights documentation, legal research and advocacy in Sri Lanka. "All of our institutions, political and social, and our sense of moral purpose are grounded in one value i.e. the respect for the sanctity of human life. We must all resolve to restore respect for this value if we are to reconstruct a society and a future of which we can all be proud." 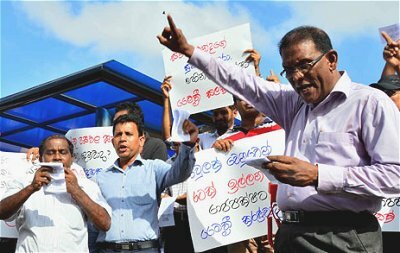 දින 50 : උමඟ කෙළවර ආලෝකය ද? ஐம்பது நாட்கள் : காரிருளின் முடிவில் ஒளிக்கீற்றுக்களா? ARTICLE | Opinion and Fact: Fact or Fiction?